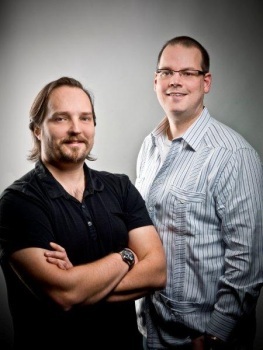 BioWare co-founders Greg Zeschuk and Ray Muzyka are leaving the company. The last couple of years have been rough on BioWare, but even so, the news that Greg Zeschuk and Ray Muzyka are retiring from the company they founded 17 years ago is a shock. "The decision to leave the videogame industry is hard to explain, but essentially I feel similar now to how I felt in the early days of BioWare over the decade post-medical school, while I was still practicing as an ER physician, back when I first realized that the world of videogames was my next career 'chapter'," Muzyka wrote in a farewell blog post. "Two wonderful decades working at BioWare and later EA was the result of that decision. It's not often that you can truly say you were able to pursue and achieve your dream job; I know how lucky I am to be able to say that now, in my early 40s." "After nearly twenty years working at BioWare I've decided it's time to move on and pursue something new. This decision isn't without significant pain and regret, but it's also something I know I need to do, for myself and my family," Zeschuk said in his own goodbye. "I've reached an unexpected point in my life where I no longer have the passion that I once did for the company, for the games, and for the challenge of creation. For the people I have had the privilege of working with, however, my passion burns as brightly as it did the day we started. The people I work with now, and that I have worked with in the past, have inspired me and really made all of the challenges we've collectively faced over the years worthwhile." Muzyka said he intends to become more involved with educational, health care and animal rights charities, while Zeschuk said he wants to pursue some "personal passion-driven projects related to craft beer." Alas, we shouldn't expect a return to the business of making games from either of them anytime soon; Zeschuk in particular said there's a "strong possibility" that he won't ever be back. Dragon Age, Mass Effect and Star Wars: The Old Republic inspired a lot of heated discussion across the internet, but you simply cannot overstate the impact that Zeschuk and Muzyka had on the industry. From Baldur's Gate to Mass Effect 3, they rejuvenated and reshaped the RPG genre as we know it, leaving it far better and stronger than they found. For that, gentlemen, and everything else: Thank you.